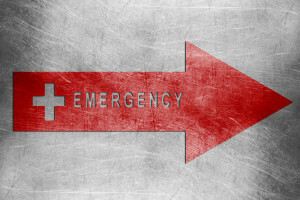 Would you be prepared and confident in a dental emergency? Although emergencies are inconvenient and sometimes unavoidable, you can reduce the risk of losing your teeth by knowing what steps to take in the event that something happens. A dental emergency can involve severe tooth damage, a tooth being knocked out, or becoming loose. Because emergencies can happen at any time, you should be aware of if your dentist has an emergency after-hours number. If they do not, head straight the hospital. Toothaches can appear suddenly, but they can also resolve just as quickly. When dealing with a toothache, you must take several factors into account when deciding if it is a true emergency. Do your best to examine the area from which the pain seems to be coming from. Check for swelling, lodged food particles, tooth cracks, or other abnormalities. In some cases a toothache can be resolved with a gentle flush of warm water and floss to remove something that became stuck. If your pain is persistent, take over the counter pain medicine as directed until you can seek medical attention. Never place an aspirin on the painful tooth. This common misconception can cause severe burns and even more discomfort. If you experience a traumatic injury that causes you to lose a tooth, or find yourself with a broken tooth fragment, seek medical care as soon as possible. Attempt to locate the missing tooth. If it was knocked out with the root attached, your dentist may be able to save it. Handling the tooth from the crown only, rinse it under water and place it back into the socket if possible. If this is too painful, place the tooth in milk or in your mouth between your cheek and teeth to ensure it stays moist. Visit your dentist as quickly as possible.